Pfc. Nelson E. Boyle, husband of Estalline Hickerson, Loving. Entered Army Ground Forces, 1944, trained at Ft. Bliss, Texas, Camp Haan, Cal., and Camp Howze, Texas. 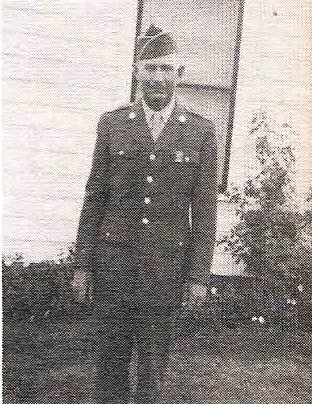 Served in France and Germany with the 157th Inf., 45th Division. Awarded Combat Inf. Badge, GCM, ETO, and 2 Battle Stars. Discharged in 1945.